Every time you get new PCI-E risers for a new GPU mining rig you may be surprised with build varying build quality and that can affect the stability of the system you are building. 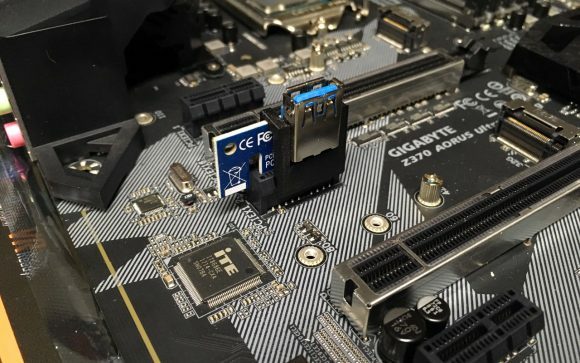 Even when the quality is fine there is another common problem that the standard PCI Express risers using USB 3.0 cable printed upwards exhibit – they have the tendency to move a bit in the slot and even at times disconnect. This can cause a bad connection or even a broken one and one or more of your GPUs suddenly disappearing from the miner and you starting to wonder what happened and diagnosing the whole system to find the culprit. 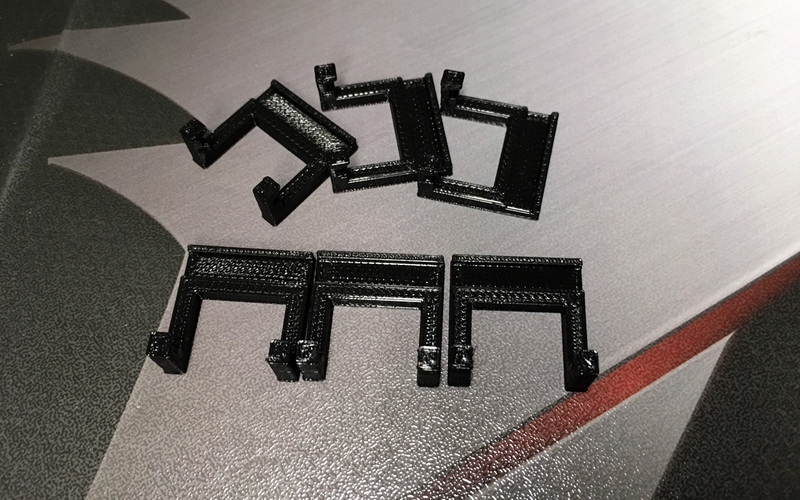 Fortunately there is a simple solution available if you have a 3D printer or a friend with one that can help you print a small and simple, yet very effective PCI-E Riser Lock. The 3D model is available for free on the Thingiverse website made by a user called totembe who is accepting Vertcoin tips from happy users of his creation. The simple plastic clips that you can 3D print hold the small PCB with the PCI-E x1 connector very tight to the PCI-E slot on the motherboard, so that there is no more play and the chances to have these getting disconnected are becoming pretty slim. The PCI-E Riser Lock take just a few minutes to print and use just about 1 gram of filament and are really useful. 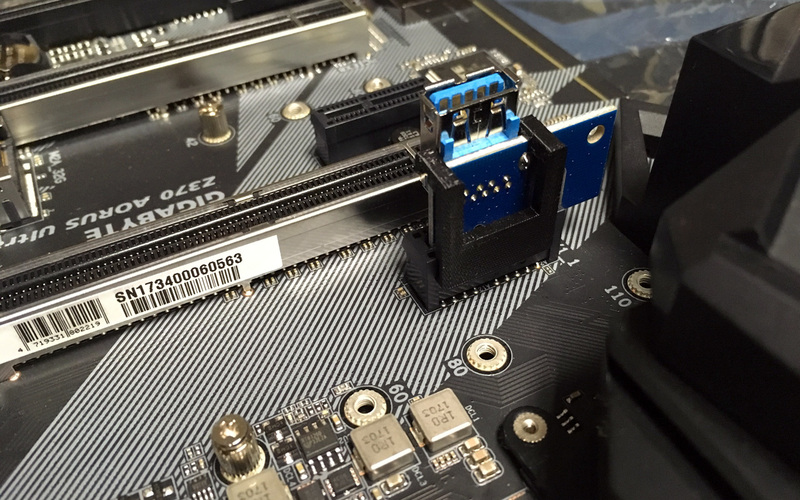 You can clip them on both sides of the PCI-E slots, for example if there are some components preventing you from attaching the lock on the front of the slot, then just clip it on the back, it will work. The only slots that you cannot attach these locks are the ones that come with metal shielding/strengthening as they do not have a place to attach the lock to. Also some mining motherboards with more than the usual number of PCI-E slots such as AsRock H110 Pro BTC+ will not work as the slots there are too closely spaced to each other. Do note that the design of the 3D printable PCI-E Riser Locks is not compatible with the newer designs of the PCI-E risers that have slightly larger x1 PCI-E PCBs and angled USB connectors, but then again these do not seem to suffer from the same issue of getting disconnected as the older design with the USB cable pointing up. It is possible to modify the design of the locking adapter to also work with these relatively easy, but as we’ve said already it might be pointless to use these anyway. We are yet to see similar problems with the angled USB connector risers as with the straight up USB ones, and as you already probably guess the USB connector and cable pointing up is what is causing the problems.